Business Insider: This could be the scariest chart in the world, from Deutsche Bank’s Torsten Sløk. 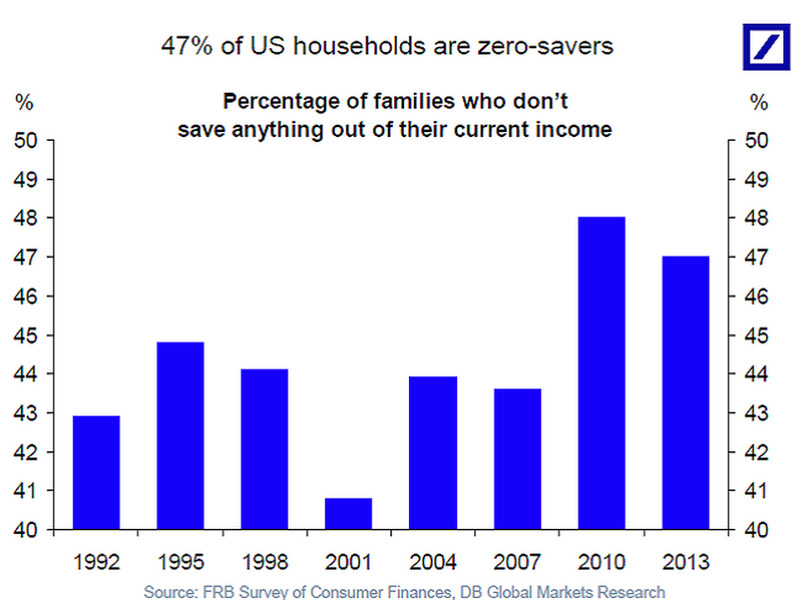 Nearly half of American households don’t save any of their money. If it isn’t obvious, this has a broad range of implications. People who don’t save won’t have any buffer should the economy turn and they lose their jobs. Longer term, people who don’t save won’t have the capacity to retire.